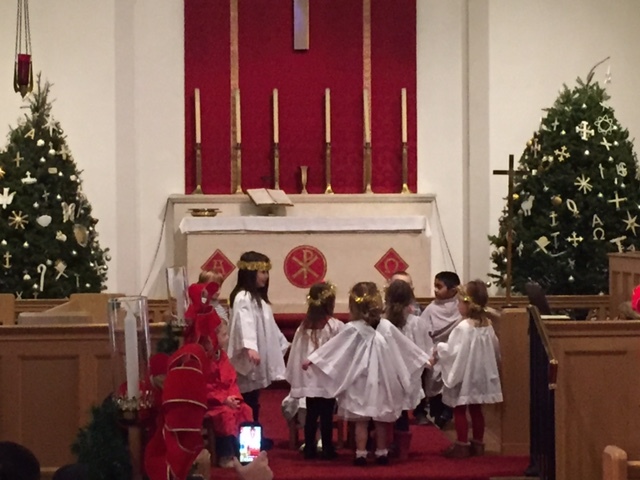 The Nursery School children put on their Christmas Program for their parents, grandparents, siblings, etc. We had angels, shepherds, wise men, Mary, Joseph and baby Jesus. Pastor Richard read the story as the children spoke and acted out their parts. After the program all went downstairs to the Nursery School room and enjoyed refreshments.